"We are not ready to surrender (yet), and will never be ready to surrender, the independence of our foreign policy," he said. "We're not worried about a food shortage, we're fine. We can live forever like this, we are well prepared." The Gulf State quarantine of Qatar hasn't begun yet, so the propaganda spin sounds dramatic, defiant and triumphant. But it's a serious thing and internally, the UAE and Saudis are as serious as a heart attack about regime change. Expect more on this as it all unfolds. 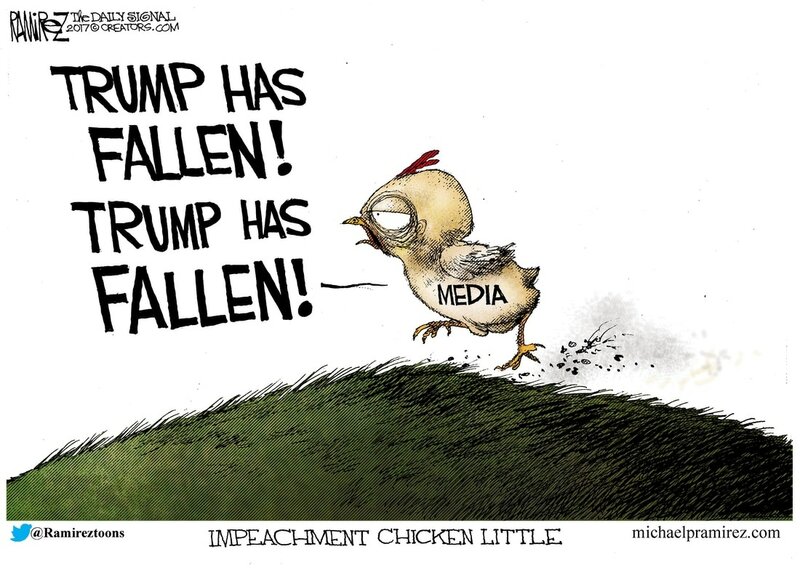 Unfortunately there won't be much news carried on American media because they are looking for something else to blame on President Trump now that the Russia story has crashed. More on that (below). Al Jazeera shut down its website temporarily because it was fighting a massive cyber-attack. The source of the attack has not been disclosed. News services have carried no updates on the Saudi ultimatum. The Kuwaiti mediation effort appears to have stalled. The UAE said it had no intention of replacing the Qatar government (publicly), but the confrontation is escalating. The Arab monarchies and Egypt might be expecting an internal backlash against the ruling al-Thani family. A joint statement by Saudi Arabia, Bahrain, Egypt and the UAE identified 59 individuals and 12 organizations that are either based in Qatar or funded by Qatar and placed them on a "terror list. " Most of the “terrorists” are not Qataris. The 18 Qataris on the list include businessmen, politicians and senior members of the ruling family including a former interior minister. The 24 Egyptians, most are Muslim Brotherhood members, are the largest single group. The rest are a smattering of Kuwaitis, Libyans, Jordanians, Bahrainis, one Saudi and one man from the UAE. As for the organizations/institutions, five are based in Qatar; 6 in Bahrain and 1 in Libya. News services reported that five senior leaders of the Palestinian organization Hamas left Qatar on the 8th. They include the former Hamas leader Khaled Meshaal. The men insisted they left of their own accord. One of the Hamas military leaders departed for Malaysia. The list is significant as an expression of the people and organizations whom the four Arab states consider the most dangerous and threatening to regional stability. These people and organizations have been virtually untouchable until now. The Comey hearing yesterday, billed as high drama, was only high drama to media sycophants. We learned that Director Comey did not like President Trump. Wow, that's a shocker. We know Comey, the man who was supposed to ferret out leaks was himself, a leaker, who did what he could to undermine the President. Who would have suspected THAT? I have grandchildren under the age of 8 who can hold their mud better than the FBI director and seem to make more mature decisions. 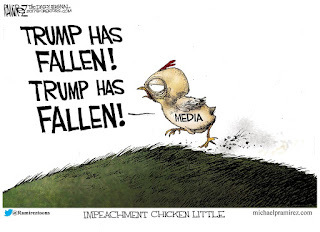 The war of the elite, smug, lying, nasty, progressive mainstream media against the American public and more particularly against President Trump will continue as they search for something else to lie about now that the disgraced former FBI director popped their Russia balloon. The battle against ISIS continues as the Russians work to stabilize the Assad government. The place is still a mess, but not as bad of a mess as the safe zones appear to be holding. US aircraft downed an armed drone, similar to the US Predator drone, that was supporting the pro-government forces. Pilots enjoy doing this because they get to paint a drone silhouette on the side of their cockpit. The so-called garrison at Al Tanf consists of about 200 personnel, according to press reports. US air support and good tactical intelligence are essential to the survival of this group. Al Tanf is strategically located at the point where Syria, Jordan and Iraq meet. The Russians would like to see this intelligence collection site (aimed at them) removed...but it's not going anywhere. On 8 June, the Islamic State’s Amaq news agency reported, "Islamic State fighters killed two Chinese people they had been holding in Baluchistan Province, southwest Pakistan." The terrorists provided no reason for the murders, but my sense is that the Chinese didn't make the ransom demand. On 9 June, Chinese Foreign Ministry spokesperson Hua Chunying said, "We have taken note of relevant reports and we express our grave concern. We have been trying to rescue the two kidnapped hostages over the past days." Background: Armed men pretending to be policemen kidnapped the two language teachers in the provincial capital, Quetta, on 24 May. A third teacher managed to escape. This is the third pair of Chinese workers connected to the China-Pakistan Economic Corridor to be murdered in Pakistan in less than a year. Last November, two Chinese engineers were killed by unidentified assailants in Pasni District of Baluchistan. Last September, two Chinese engineers were killed in a roadside blast in Hub District of Baluchistan. At some point, Pakistan’s inability to guarantee security for Chinese workers will prompt the Chinese to scale back their ambitious plans to economically annex Pakistan. The Chinese had grandiose plans for economic development in Afghanistan, but have scaled them back and moved slowly because of the chronic and worsening lack of security there.